A beautiful set of numbers. Stay connected on the go. 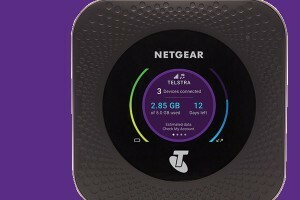 Telstra has new My Business Mobile Data plans that come with more included data than ever before. You can also pool your data with all eligible devices on the same account so that you can maximise your plan. With a My Business Mobile Data plan you can connect on the go, there’s no need to search for Wi-Fi. Automatically share your unused data with eligible devices on the same account – the more plans you have, the bigger your data pool. New My Mobile Data plans are designed with sharing in mind. Share your data with your own devices or with the family. Enjoy the freedom of sharing between phones, tablets and Wi-Fi devices all on the same account.